There are times when I’m OK with being wrong. Last Sunday was one of those times, as the Pats absolutely spanked Ryan Tannehill and the Dolphins at home in a 31-point win. Does this mean they should be considered a juggernaut once again? Or was it just an easy fluke win against a team that always soils their jock straps every time they’re in Foxborough? So Who are the Colts? The Colts are a team that LOVES to chuck the ball. Most of this probably has to do with their 29th-ranked running game, which is basically a three-headed “attack” – soon to be four-headed with the return of Robert Turbin off suspension this week – that is averaging a collective 3.6 yards per carry. While Turbin could theoretically come back and take over the reigns right away, I don’t expect a guy who’s played in 21 games over the past three seasons, while averaging a measly 3.1 yards a tote, to come in and go gangbusters. For the most part, it’s been two rookies, Jordan Wilkins and Nyheim Hines, who have led the way for Indy, with Wilkins being more of the ball-carrier and Hines being the do-it-all, Swiss army knife out of the backfield. Wilkins, who leads the team in carries, has produced an unspectacular 136 yards on 38 attempts this year. Hines, though, leads the team in receptions with 22, with nine of them coming against the Houston Texans two days ago (on top of two touchdowns). He was an electric collegiate player at North Carolina State as well, and there’s no doubt the Colts believe in his talent. Only a rookie, Hines is already a pretty fun little player to watch. T.Y. Hilton is happy to have Luck back, too, as he is averaging an impressive 14 yards a catch with two scores on the year. Other guys like Ryan Grant, Chester Rogers, and the two-headed tight-end attack of Eric Ebron and Jack Doyle – and, of course, Hines – give Luck a solid group of guys to throw the ball to. Surprisingly, the Colts defense has been in the middle of the pack this year against both the run and the pass, and they haven’t been the terrible piece of swiss cheese I expected them to be in 2018. Their 17 sacks are also tied for second in the league, but after playing 80-plus snaps in each of the past two games, hopefully the D is a bit tired and won’t completely feast on Brady. (Welcome Back, Jules! ): After 24 games without his top target, Tom Brady finally gets his biffle Julian Edelman back on the field once again. HALLELUJAH. 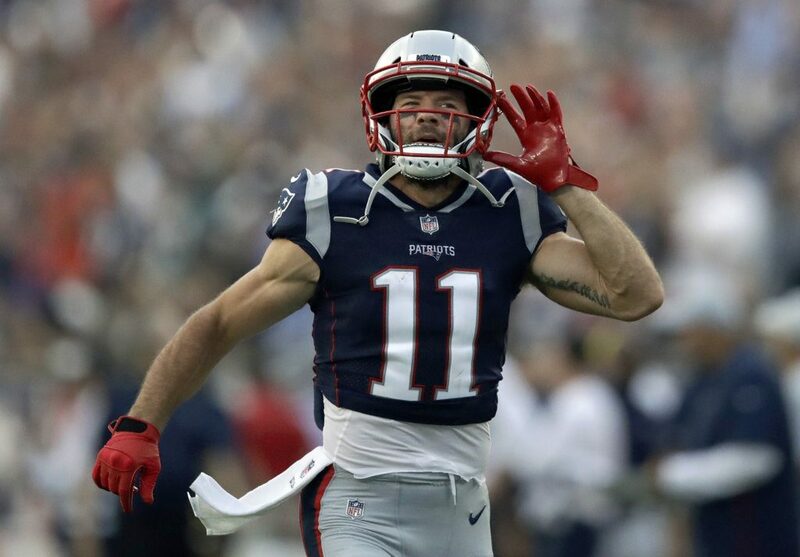 Sure, Edelman is 32 years old and coming off a pretty serious knee injury, but hopefully those extra four games off this season just gave him more time to heal. Above all, even with Josh Gordon now in the fold, Edelman is the team’s most important receiving option. While Gordon and Gronk can come through with the big play down the field, Edelman gives Brady that reliable, chain-moving option he’s so desperately missed. I think you’re also going to see a much more chipper TB12 from here on out. Welcome back, No. 11. Jules is back to silence the haters after an all-too-long absence. (Where’s the Pass-Rush? ): The Pats defense got a huge boost last week with the return of both Trey Flowers and Patrick Chung. Newly signed John Simon also had a nice debut with three tackles and a sack on Sunday. However, the much-improved pass-rush everyone was expecting to see this year has been M.I.A. so far. Outside of Flowers, Simon, Adam Butler, and my boy Deatrich Wise (who leads the team with 2.5 sacks), not ONE other Pats player has been able to take down the quarterback through four games. This should be a game where we start to see some improvement, though, against a suspect Colts offensive line that could still be missing incumbent left tackle Anthony Castonzo, who has yet to see a snap this year. The Texans had a field day against the Colts this past weekend with four sacks and 11 quarterback hits. If the Pats can’t get the pass-rush going on Thursday night, color me concerned. After completely whiffing on my Burkhead for offensive MVP pick, at least my pick for the team’s defensive MVP this season has given me some vindication. Feeling good off a nice win and boosted by the return of Edelman, the Pats will come out hot at home, going up by a couple scores in quick fashion. The Colts, who are still tired and reeling from a devastating OT defeat just four days prior, will be sluggish and their mediocre defense will crumble in front of the crowd at Gillette. Their offense may also struggle mightily with Luck’s two favorite targets – Doyle and Hilton – both definitely sitting out. By the middle of the third quarter, the game will be all but over. The Pats take it 34-13. 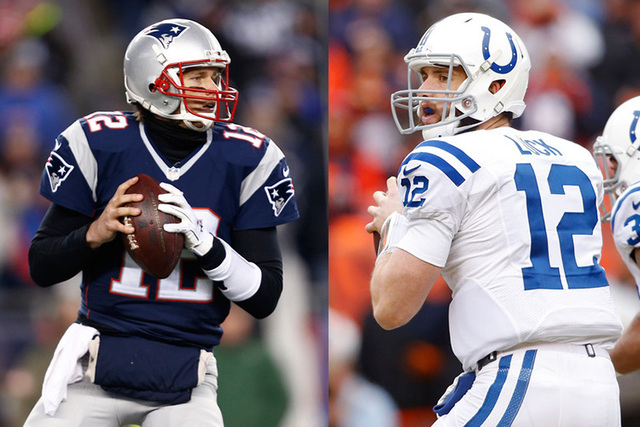 This entry was posted in NFL, Patriots and tagged Andrew Luck, Colts, Deatrich Wise, Indianapolis Colts, Julian Edelman, New England Patriots, NFL Week 5, NFL Week 5 Matchups, NFL Week 5 Odds, NFL Week 5 Predictions, NFL Week 5 Preview, Patriots, Patriots Colts, Thursday Night Football, Tom Brady. Bookmark the permalink.